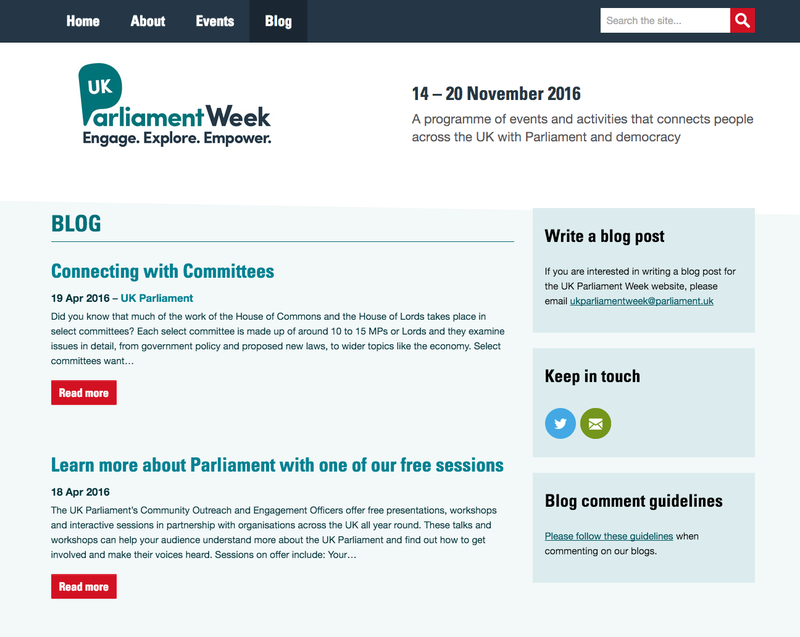 We worked with the UK Parliament to relaunch their Parliament Week website and update their CMS to make back-office operations more efficient. 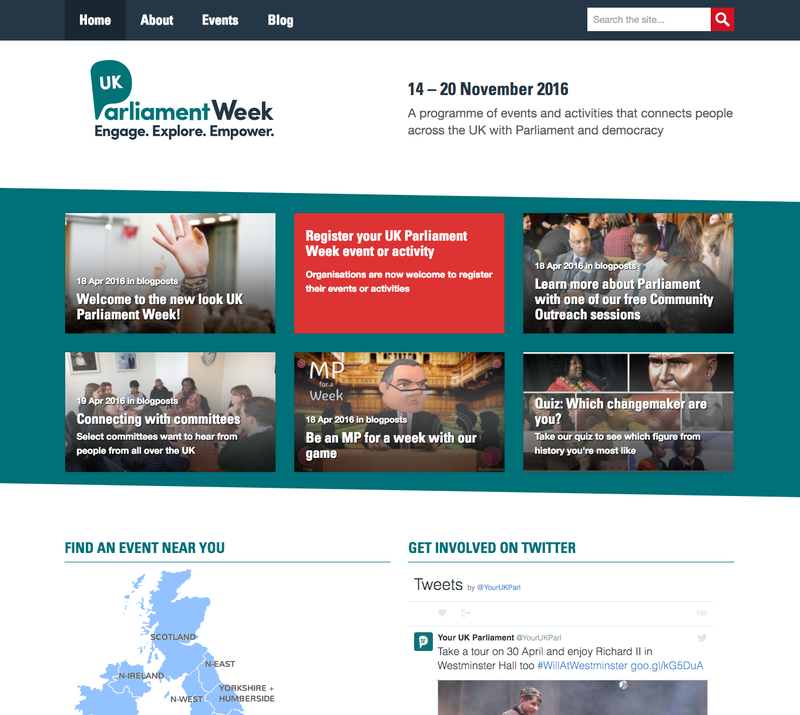 The new website is aimed at both partner organisations and the general public, allowing partners to sign up and add their own events to the site, and allowing public visitors to browse and book events. There's also a blog. We built a working prototype to test the functionality and layout of the new site and sat in on a round of user testing at Bunnyfoot. Following feedback from the tests, we redesigned the site with a mobile-first process so that the website works really well on tablet and mobile devices and made several alterations to the user journeys through the site. 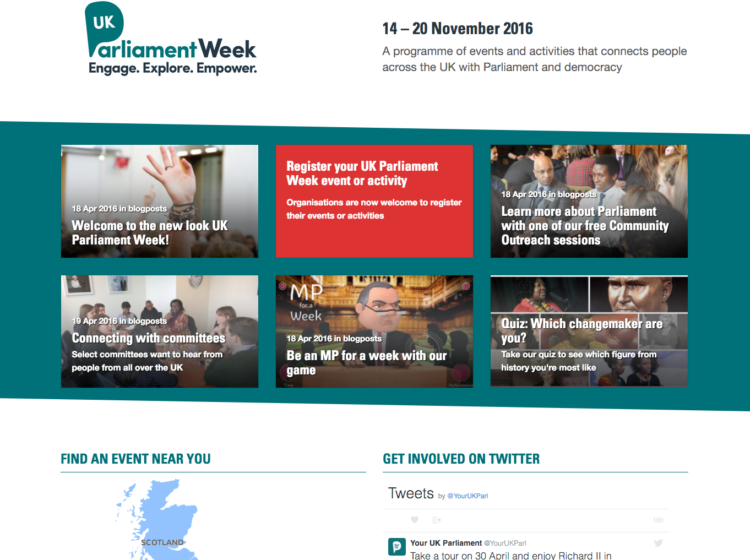 A second round of user tests helped to make further improvements to design and content. 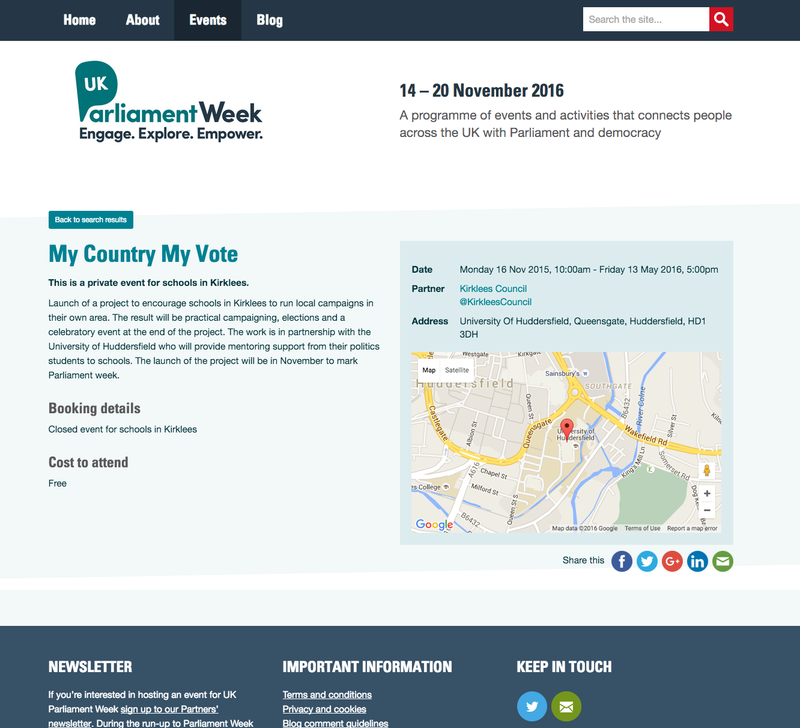 The website integrates with Google Maps and Eventbrite and allows partners to add their own events via online forms. This saves time for the team working on the website, who only have to approve submissions for them to appear on the website. The site is designed with the future in mind. The team will be able to freshen the site with new dates, colours and logos next year and older events and blog posts move into the archive sections of the site.